Guyana’s premier 17 and under 19 athletes will get into their blocks today to compete at the Smalta National Youth and Juniors Track and Field Championships. 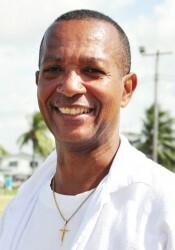 The annual fixture will run off at 10:00hrs for the first time at the newly commissioned National Track and Field Centre at Leonora where the athletes will be vying for selection on the Guyana team to the IAAF World Youth Championship in Colombia, July 15-19; the Pan American Junior Champion in Edmonton, Canada, July 31-August 2; and the Central American and Caribbean (CAC) Games, July 18-19. 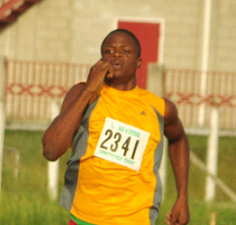 The sum of 24 events for each category are scheduled for today with the 100m, 200m and 400m, 800m and 1500m races in the junior division billed to highlight the championships. Cassey George, Andrea Fortune, Jason Yaw, Compton Caesar, Avon Samuels and Natricia Hooper are some of the marquee names to watch. The 800 and 1500m duel involving George and Fortune is sure to grab headlines after the drama that unfolded at the National Senior Championships two weeks ago.